Have you ever considered just running off with your love, to get married in an exotic location? 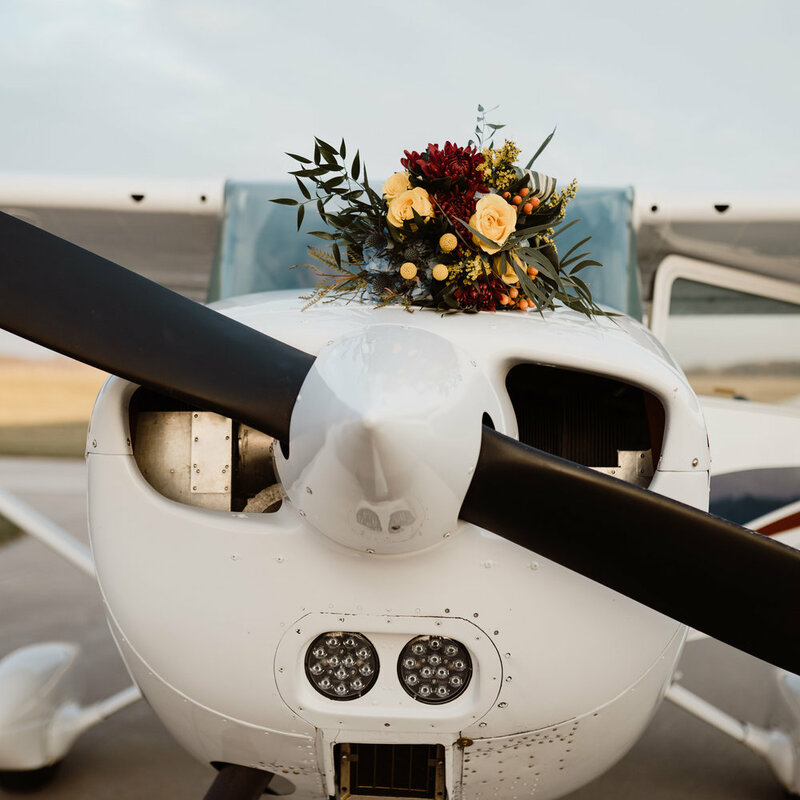 You could even skip the location and just elope in an adventurous airport wedding! That’s exactly what we did. 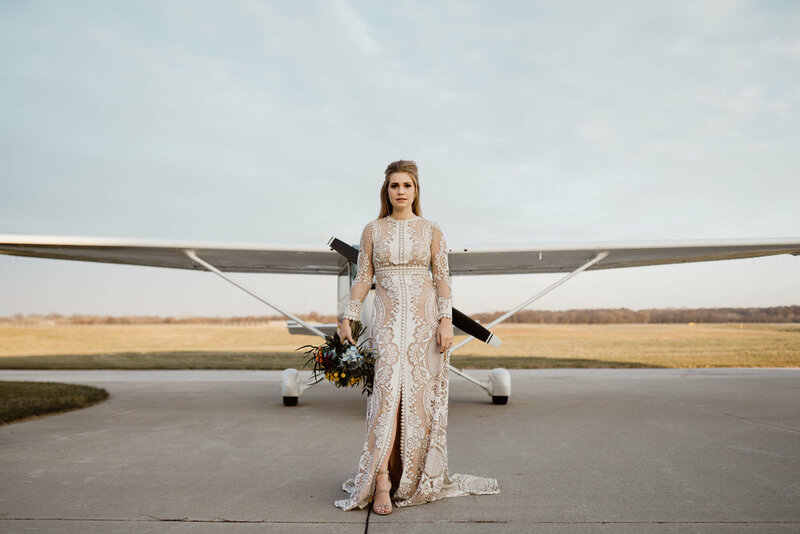 Sarah Beals, owner of custom dress design company, Dame and Maiden in Des Moines, created the concept for this shoot. She pulled out an amazing tan & laced dress as the inspiration, and everything else came together. The tux was provided by Skeffingtons for the perfect “James Bond” vibe. We pulled some strings, and and a wonderful local couple lent us their airplane, even giving the vendors and models a tour on the passenger plane! Although it was a cool, windy, fall day in Iowa, that didn’t stop our team. Sunset gave a warm glow to our elopement, and the perfect dreamy light for the incredible photos by Raelyn Ramey. Florals were put together by yours truly! We combined burgundies, blues, and and yellows.Burgundy mums, yellow roses, and apricot berries to pull togethers to create a rich, vintage aesthetic.